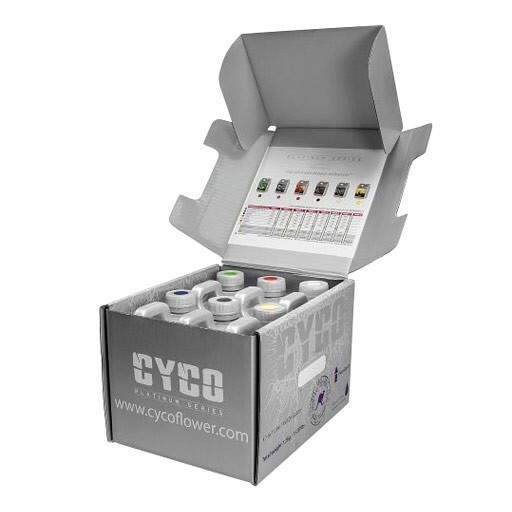 The industry-exclusive Cyco Mini ProKit (Bloom) includes all the additives necessary for a productive bloom stage. Use the mini prokit with Cyco Bloom A and B nutrients. The kit contains one liter each of Cyco Swell, Cyco Potash Plus, Cyco Silica, Cyco Zyme, Cyco B1 Boost and Cyco Uptake as well as a helpful information booklet. The easy-to-use application chart employs a color-coded weekly system that makes this one of the most user-friendly systems available.